I’ve got more work travel coming up so I figured I better try to get a post or two in while I can. It’s amazing how quickly time flies when you are traveling. Doesn’t it seem that way when you are on vacation? You want to stop time but it just goes by too fast. Next thing you know, you are back at work. Traveling for work doesn’t always seem to go by so quick but then you wake up one day and all of the sudden realize the summer is almost over. How does this happen? I haven’t had a vacation all summer and I’m dying for some time off. 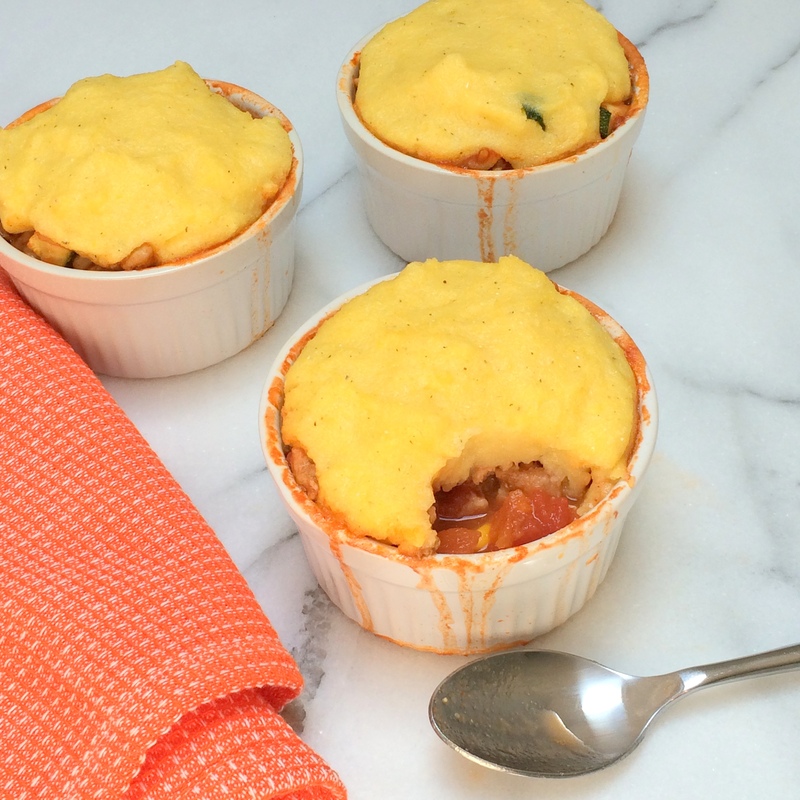 Until then, I’ll just keep making some comfort food like this Tamale Chicken Potpies to help soothe my soul until I can sit by a beach somewhere with a book. 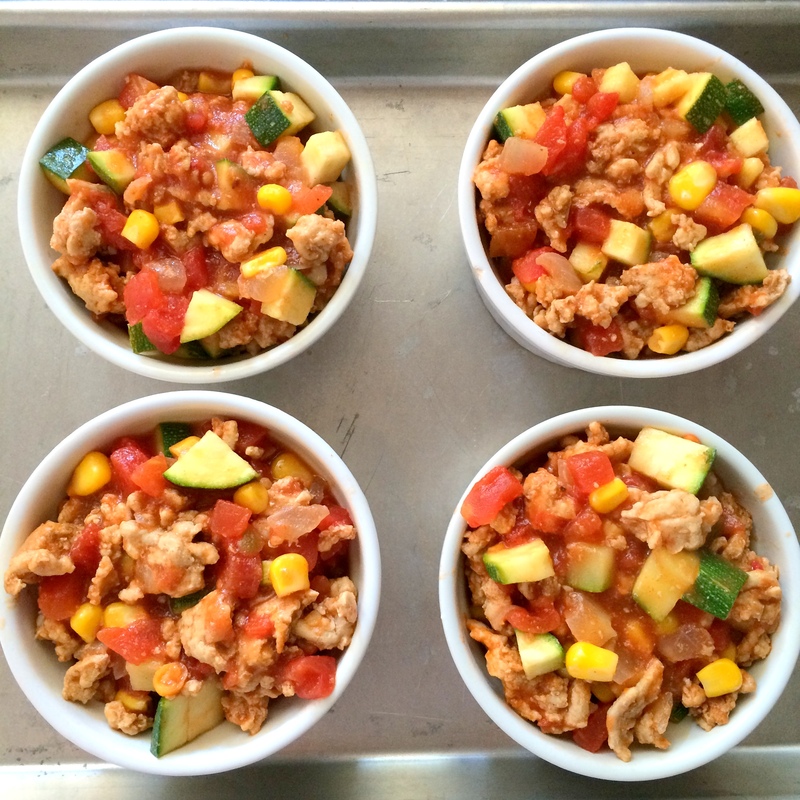 Ground chicken and onion are livened up with some cumin and chile powder before being mixed with some spicy diced tomatoes, tomato sauce, zucchini, and corn. 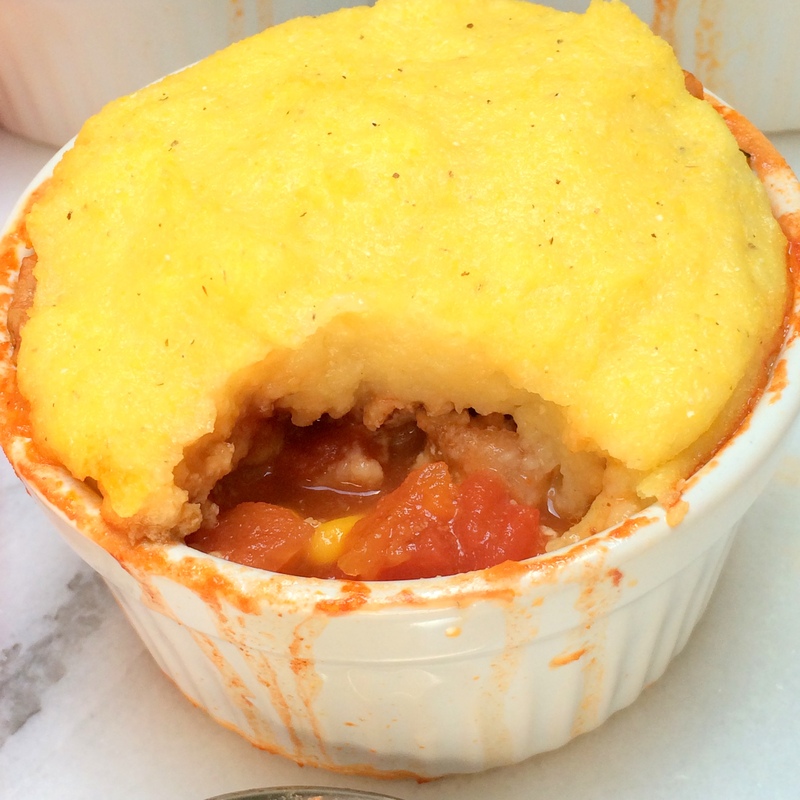 The whole mixture simmers together and is spooned into ramekins (you could make this in one big dish too) where it’s topped with a creamy cornmeal mixture that’s made even better with some cheese. A short trip to the oven gets these little treats golden brown and perfectly bubbly. I love meals like this that are already portion controlled for me. The great thing about this recipe is that the chicken mixture is good enough alone. I had a little bit left over and warmed it up for a quick lunch one day. A perfect little meal. Maybe I can’t jet off to Mexico for some tamales, but I can close my eyes and pretend, right? Preheat oven to 400°F. Heat a large skillet over medium-high heat. Add oil to pan; swirl to coat. Add onion; sauté 3 minutes. 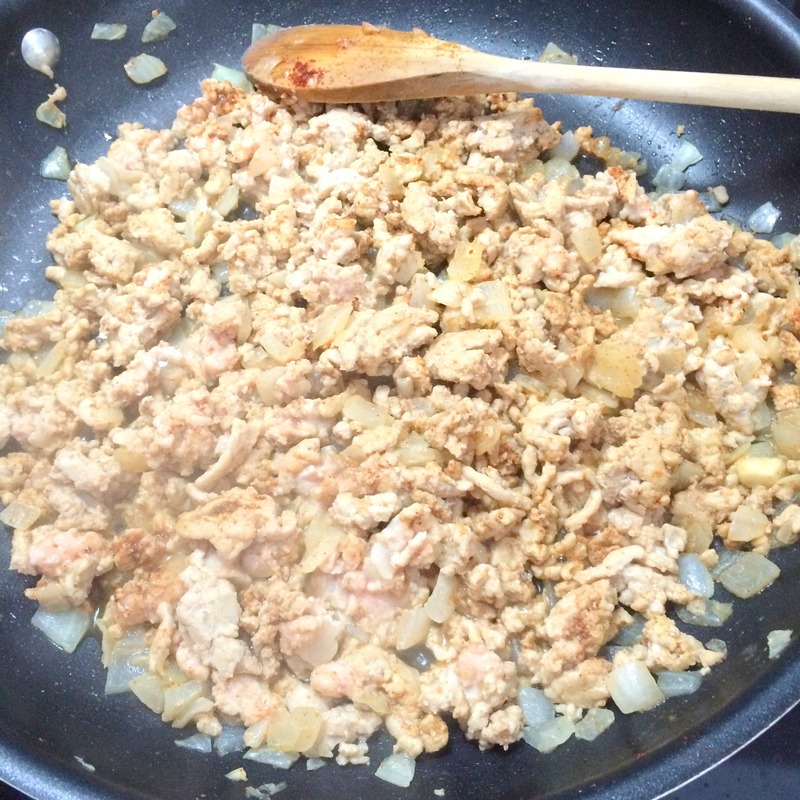 Add chicken; cook 3 minutes, stirring to crumble. Stir in cumin, chili powder, and 1/4 teaspoon salt; cook 1 minute. Add zucchini, corn, tomatoes, and tomato sauce; bring to a boil. Reduce heat; simmer 8 minutes, stirring occasionally. 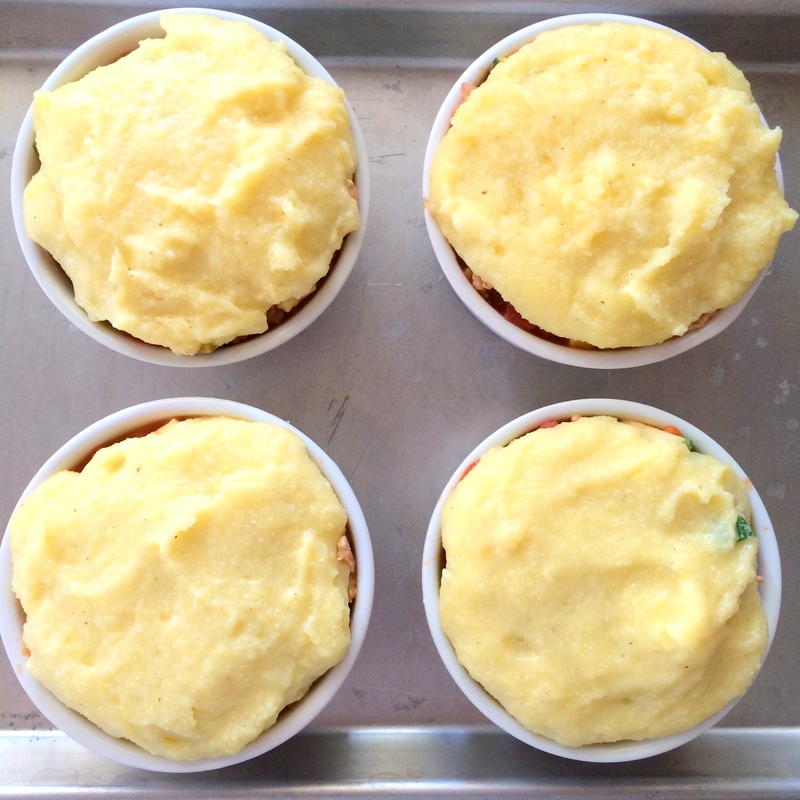 Divide chicken mixture evenly among 4 (10-ounce) ramekins coated with cooking spray. Place ramekins on a jelly-roll pan. 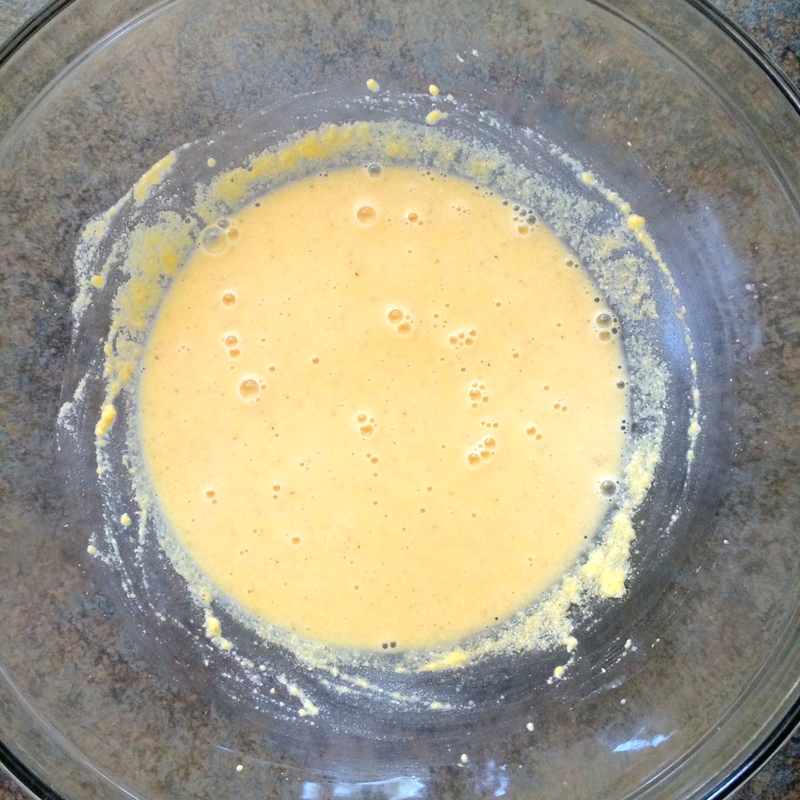 Place remaining 1/4 teaspoon salt, cornmeal, and 1/2 cup water in a medium bowl, stirring to combine. Bring remaining 1 cup water to a boil in a medium saucepan. 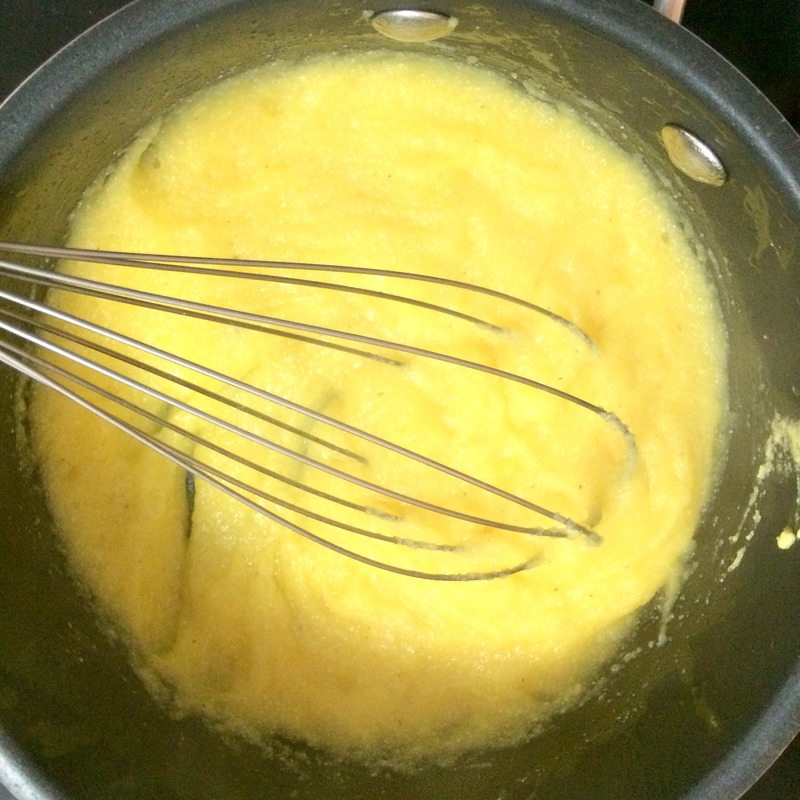 Gradually add cornmeal mixture to pan; cook 3 minutes or until thickened, stirring frequently. Stir in 2 ounces cheese. Divide cornmeal mixture evenly among ramekins. Sprinkle evenly with remaining 1 ounce cheese. Bake at 400°F for 15 minutes or until light golden brown.